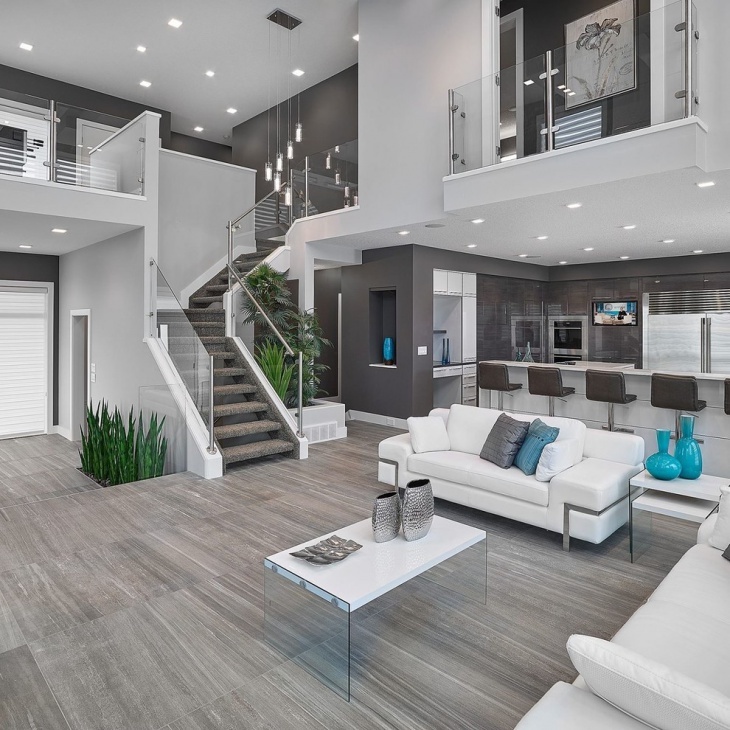 Instead of thinking of staircases as a boring part of your living room, you should think of them as an interesting and key feature and use it to achieve the desired style of the room. 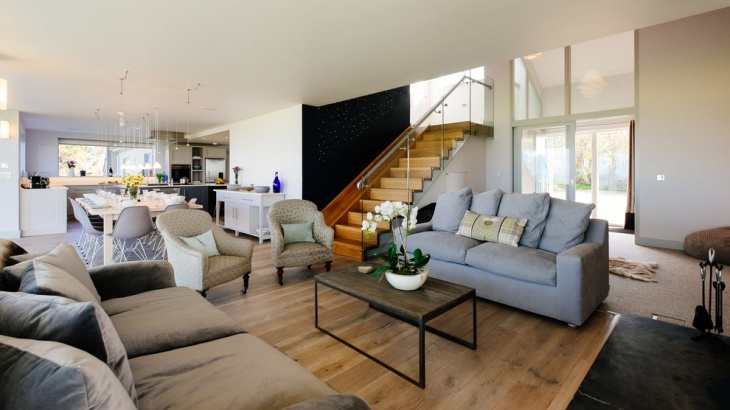 If you have a staircase or if you are planning to build one in your new home then check out these 10 living-room stair designs we have picked out for you. 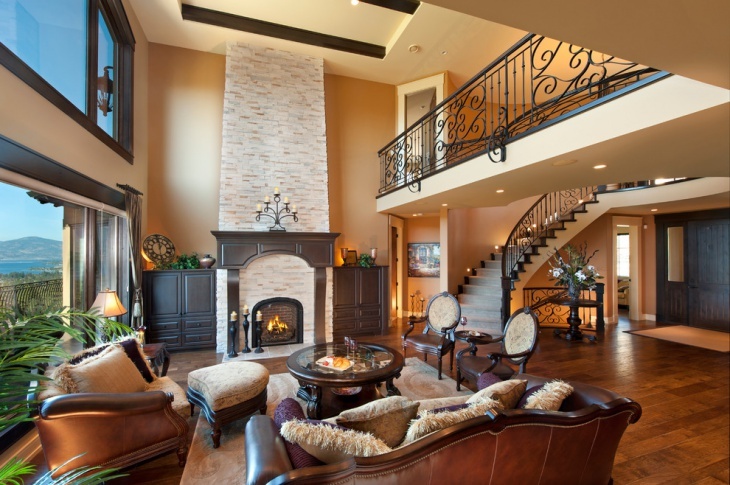 According to the general style of your living room the staircase needs to blend in. 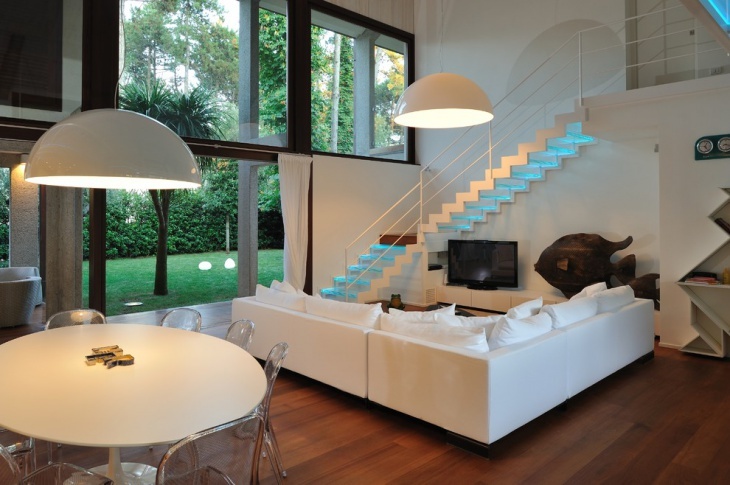 However you can make it stand out by simply installing hidden lighting under the stairs in a color. Extra storage space is always needed. Take advantage of the space that forms under the staircase and build cabinets and drawers. This will always give you additional space whether it is located inside or outside of your house. You can build shelves underneath your staircase. Like this industrial staircase, the space underneath was reclaimed by building shelves for decorating purposes. You can also turn it into a showcase for your collections or your books. 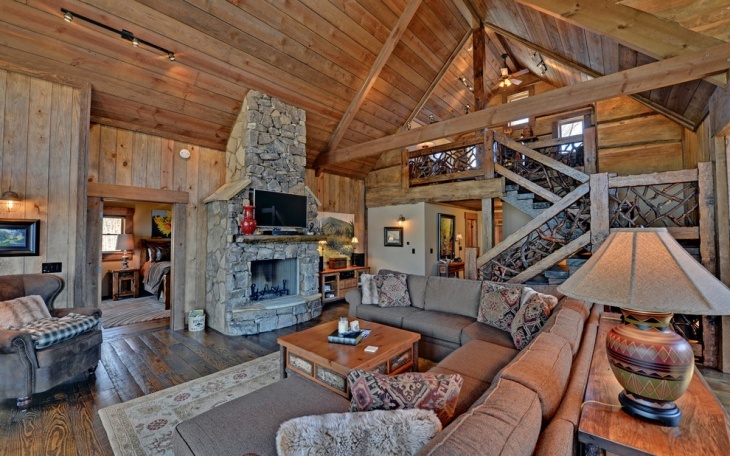 In this spacious living room the staircase follows the same style. The traditional setting of the banister and the stair spindles in a dark mahogany color matches perfectly the coffee table. For your garden living room you can build a metallic spiral staircase. It saves space since its axis is vertical and can be used in contemporary style with an industrial feeling. Also metal has better endurance against the weather conditions when placed outside. You can have a state of art staircase that will be an eye catcher. 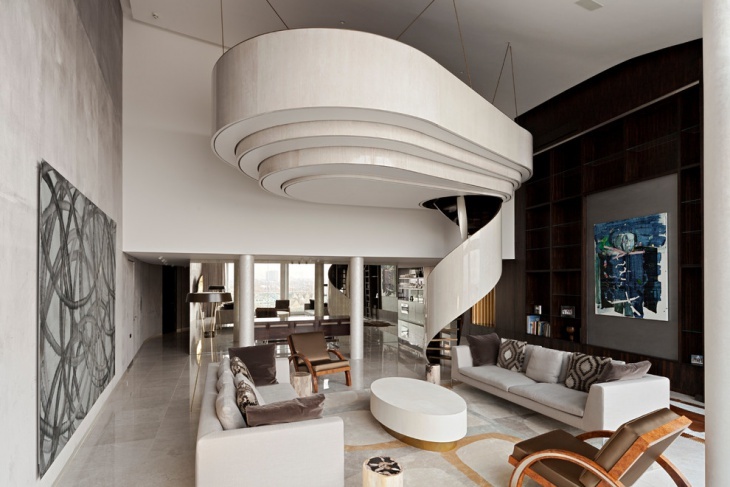 A spiral staircase with a compact banister in vinyl white would be perfect for a contemporary living room creating a unique artistic feature. 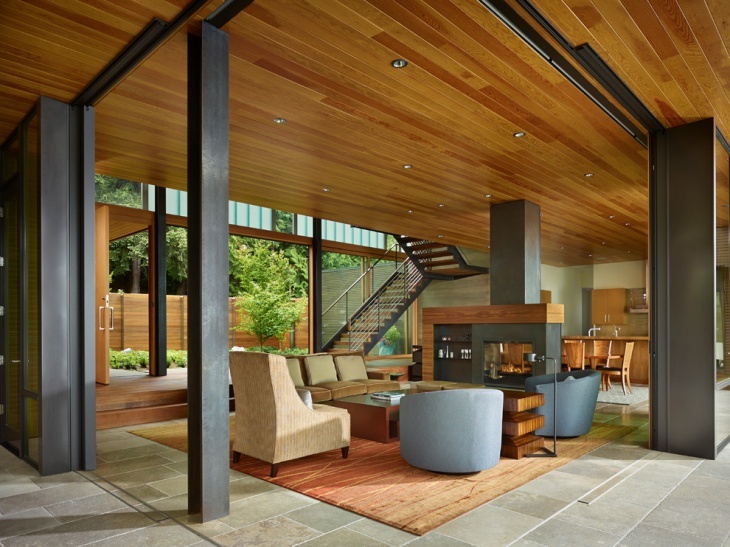 The combination of wood with metal and glass give the perfect outcome like this one. 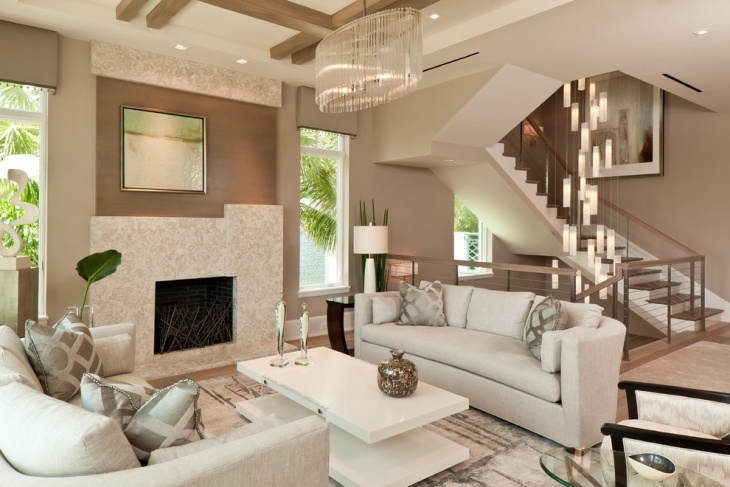 The transitional style of this staircase stands out in this neutral colored living room giving a homey feeling to the room. 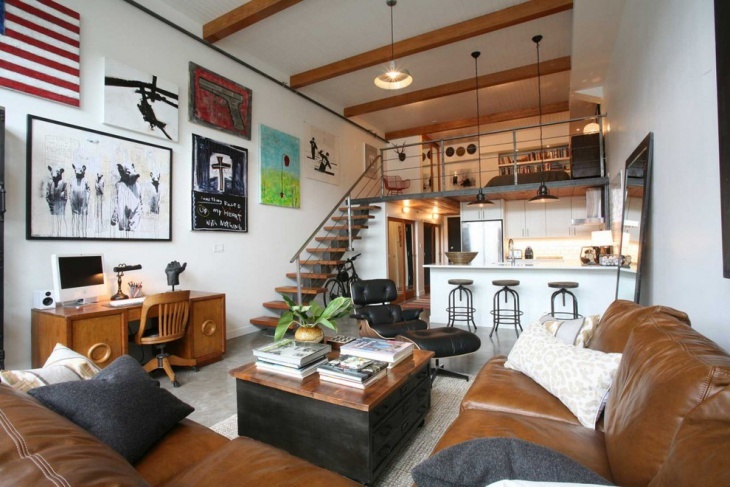 The contemporary and industrial style of this open space living room is completed by the staircase. 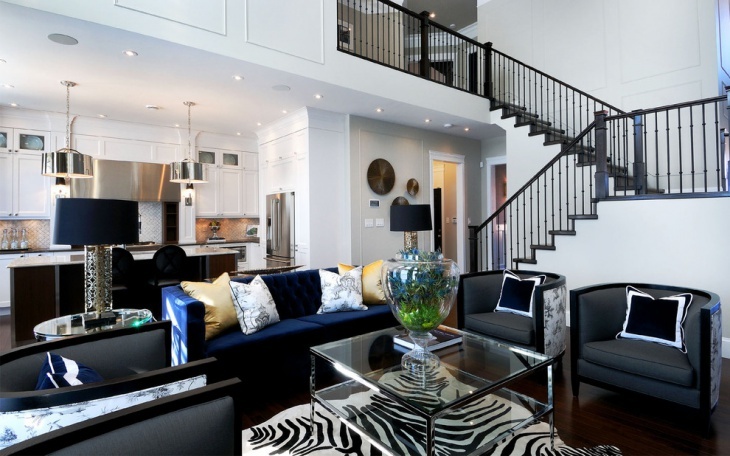 Using the same materials and following the simple lines of the rest of the room makes the staircase blend in. 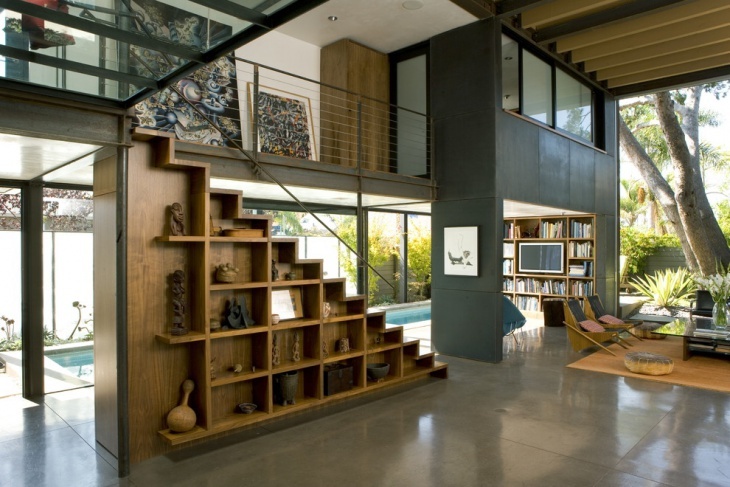 Decorate the space under your staircase in a contemporary style. The shelves will give you endless options for accessories to decorate it with as well as books. 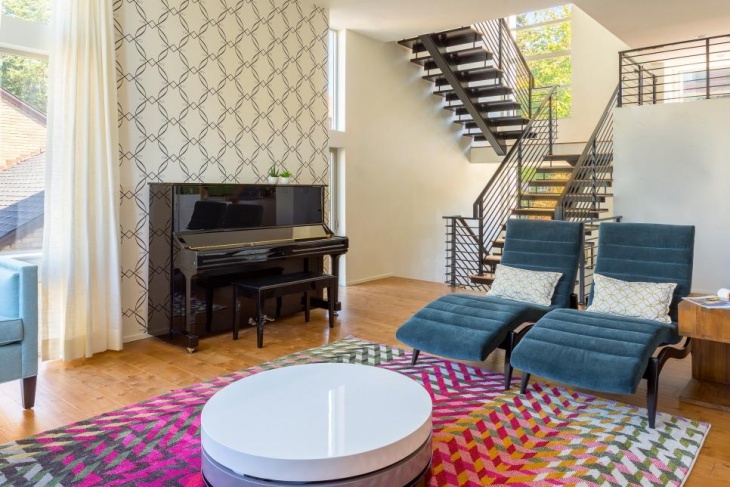 The staircase can be both a part of your living room as well as a standalone feature. 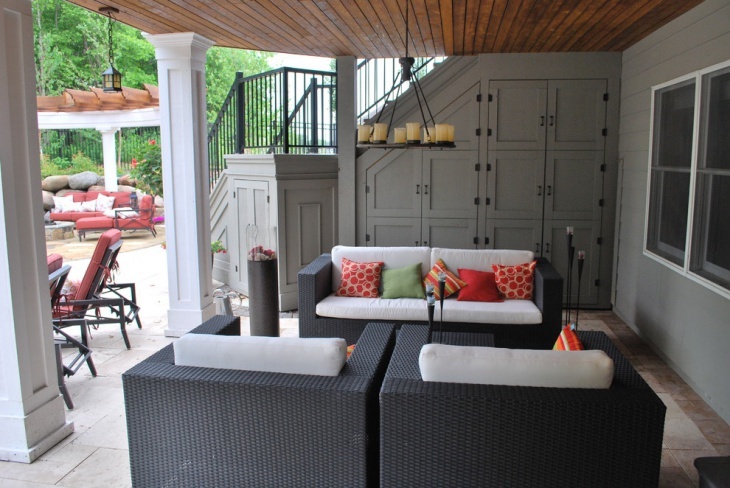 You can take advantage of the space underneath for additional lighting and storage. The variety of materials you can use is endless. 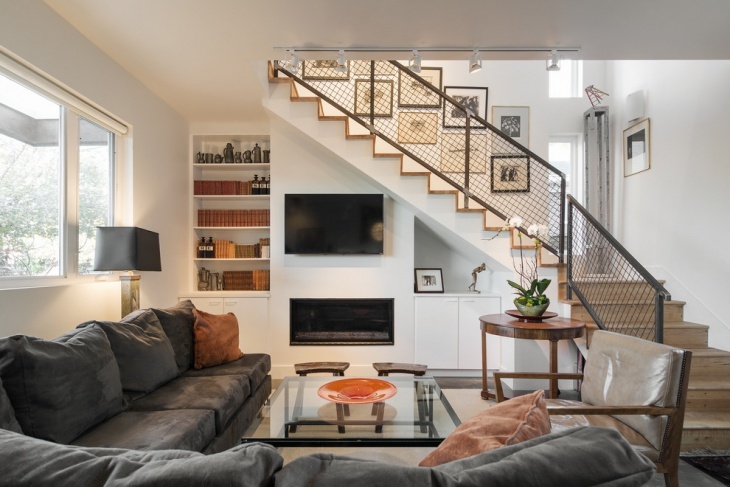 They are adaptable to every space and style adding character in a room no matter whether it’s interior stairs or exterior. However you need to be careful with its layout. In case you have kids in the house you need to choose materials that are safe for kids. 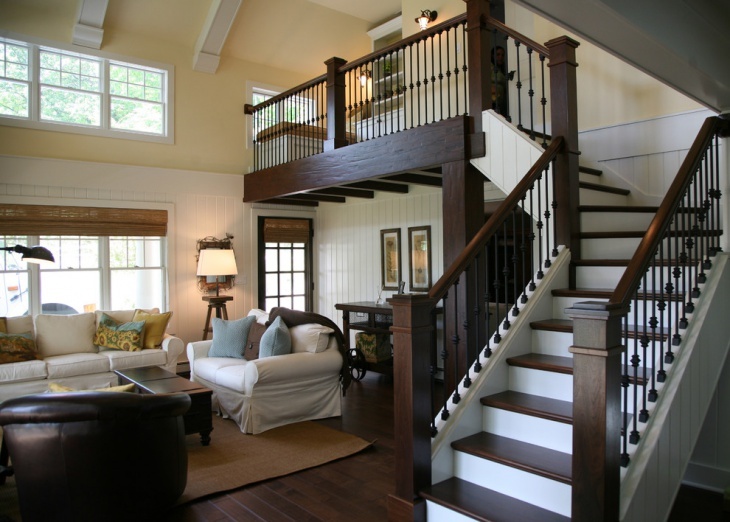 Following the safety factors of a staircase you will find that it is an interesting part to have in your house. You can always use it for other purposes other than going up and down on the house’s levels. 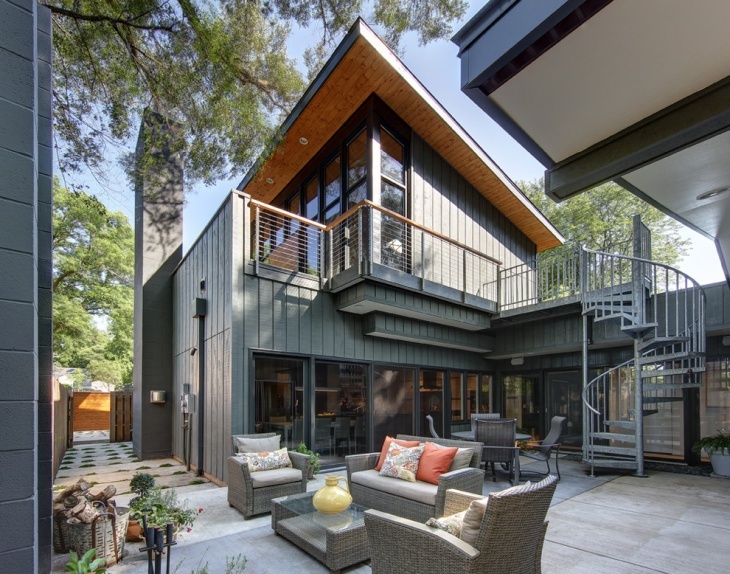 Develop a staircase that will serve for more than the ordinary.